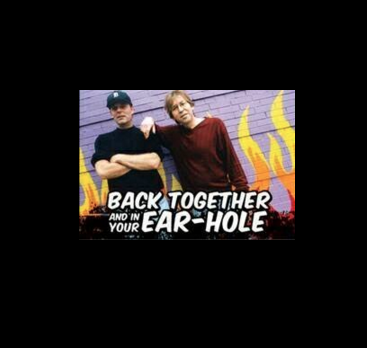 Drew Lane and Mike Clark -- the popular radio team of Drew and Mike on WRIF, who were replaced in 2013 -- are reuniting to do a regular podcast streamed from Lane's basement in Ferndale, starting in about two weeks. "I'm excited about it," Lane tells Deadline Detroit. "It's going to be a lot of fun. It's FCC free. We have complete freedom. It's very intoxicating." Lane said he expects to produce a podcast five days a week, though he said Clark only wants to do it twice weekly. So Lane said he's looking for other co-hosts, and one person who has expressed interest is Fox 2's Charlie LeDuff. Initially, the podcast will be recorded, Lane said, but there may come a time when they do it live. Lane said he likes the flexibility of recording rather than going live at 5 a.m., particularly since he's helping out two 95-year-old parents. His father is in St. Louis and his mother lives in Oakland County. He said Clark also has an elderly parent. "I need a little flexibility," he said. "It's just a shoe that fits. It's time to be out of the rat race rather than in the rat race." Listeners will be able to find the podcasts in different places including iTunes and a website that has yet to be launched. Each podcasts should last about 2 1/2 to 3 hours. He said he bought radio equipment for the show "that wasn't terribly expensive but wasn't cheap." He said he plans to have advertisers, but added that he hasn't given business model a lot of thought. He said he's not looking to get rich, but earn enough to cover the radio equipment and "make a little money." 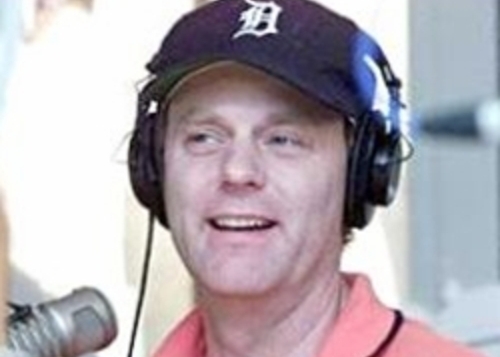 Drew Lane and Mike Clark worked at WRIF from 1991 until 2007, when Drew decided to take a break. Drew returned in 2009 and the show thrived until May 2013 when WRIF decided to replace the team with Dave and Chuck "The Freak" from 89x. "They were looking to appeal to a younger 18 to 34 audience," Lane said. Lane went on to do a sports show on 105.1, a station owned by the same company that runs WRIF. He left that show late last year over a difference in staffing of the show. "Hopefully, this is just a prelude to a return to the radio airwaves, which are a wasteland these days..."
Dan Aiuto: Finally something good to listen to again! Drew and Mike are back...in the near future!! !